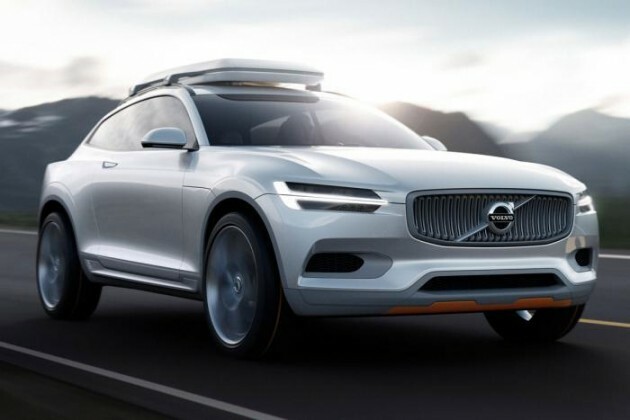 Following a teaser last month, the Volvo Concept XC Coupe has broken cover ahead of its debut at the 2014 North American International Auto Show in Detroit. It’s the second in a series of three concepts showcasing Volvo’s new Scalable Product Architecture (SPA). The first was the Concept Coupe (the ‘modern-day P1800’) from last year’s Frankfurt show. It may look XC60-sized, and have only three doors and four seats, but according to Auto Express, the Volvo Concept XC Coupe points towards the 2015 XC90, which is scheduled to surface at the Paris show this September. Interesting aesthetic elements on the concept include sharply-styled headlamps with T-shaped LEDs, a thick chrome bar across the door sills, d-shaped tail lamps hugging the contours of the rear haunches, striking 21-inch wheels and twin tailpipes integrated into the rear bumper. Learn about the 2015 Volvo XC90’s impressive array of safety tech here. 1. seat 5 or 7. 3. Reasonably good 4wheel drive capability. This model doesn’t seems to tick much of these 3 points. yeah…they aim to win design award. this is only the concept bro..its normal for a concept car to have an interesting design but impractical.. They aim to win design award.